This project for a client in Queensland is structurally complete with fairing almost done. The custom features include a full self-draining wet-deck with flush style fittings and a side access door in the hull. 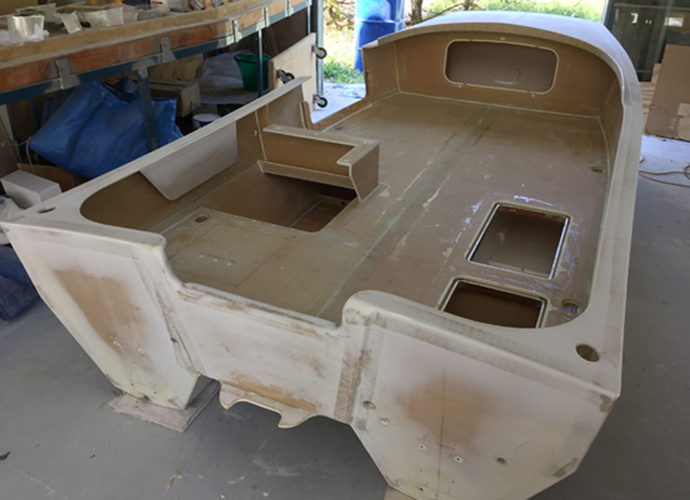 The structure has been built from the Duflex foam kit and is promising to be very light in hull weight. This boat has been customized for wheelchair access and use. Extra reinforcement has been designed into the door cut-out with tension latches securing the door. This is a great concept and size for not only a tender as this boat will be used but also as a fishing or day boat.